Pigging equipment is used in the oil and gas industry to clean, inspect and perform other maintenance operations on a pipeline typically without stopping the flow of the product in the pipe. The “Pigs” are inserted with a pig launcher into the pipes and travel along the pipe line to remove scale, sludge build up and other contamination adhering to the pipeline walls. 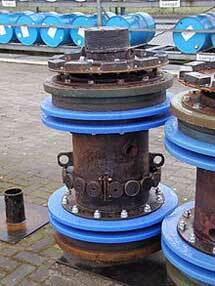 A spray parts washer is an essential parts washer for keeping pigging equipment operating properly. With today’s smart pigs able to inspect pipes and help prevent leaks, pig maintenance equipment is even more important with the increased cost of smart pigs. Best Technology’s exclusive pig cleaning technology ensures proper pigging equipment cleanliness over time. It is not only import to clean the outside of the pig but also the inside features. This part cleaning equipment was specially designed for cleaning pigs and has become the oil and gas industry standard for pig cleaning systems. 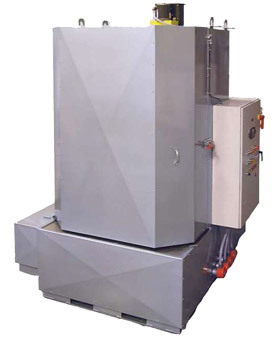 While each pig cleaning system size is customized to the customer application and pig size variation, the pig cleaning system itself utilizes high pressure spraying in a unique pattern to ensure proper coverage over the entire part.